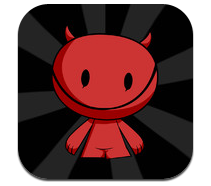 Wicked Devil is an iPhone game developed by Wicked Little Games. If you want a game that’s wicked good, Wicked Devil is a freebie worth snatching up. 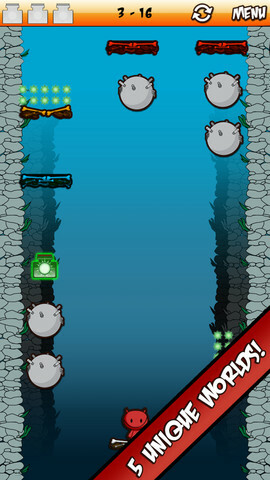 Wicked Devil is pretty straightforward: you play as a devil trying to escape from the bowels of the underworld. Along the way, you need to collect bottled souls and soul gems to upgrade to some handy power-ups. Tap the screen to jump, and up you go! The controls are smooth, totally responsive, and wonderfully engaging. Getting the hang of controls can be a bit tricky: where you tap is just as important as when you tap, if that makes sense. You’ll want to time jumps correctly so that you don’t fall into the abyss below. Overall, I think that the graphics are nice. 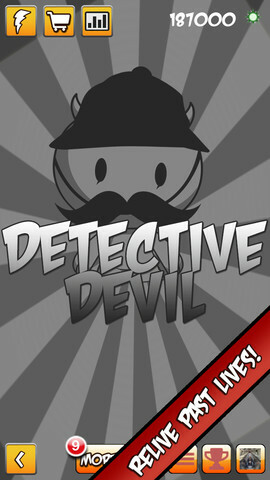 The overall look of the Wicked Devil game is a bit cartoony, but in a fun and approachable way. Graphics are simple, but with a bit of an edge. One of the nicest things about Wicked Devil is the developer’s commitment to keeping this free game free. 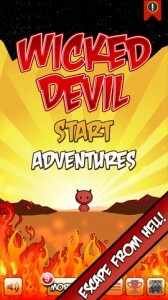 Unlike a lot of other freebies out there, Wicked Devil is actually 100 percent free to play. With 6 character skins, 5 worlds, 20 different power-ups, and over 80 challenges, there’s a lot to like in Wicked Devil. 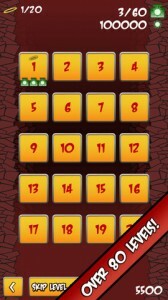 If you’ve been looking for a free game that’s totally free, this one’s addictive, amusing, and totally off-the-wall. Wicked Devilis compatible with iPhone 3GS, iPhone 4, iPhone 4S, iPhone 5, iPod touch (3rd generation), iPod touch (4th generation), iPod touch (5th generation) and iPad. Requires iOS 6.0 or later. This app is optimized for iPhone 5.